It's time to stop playing with free websites and get it right with a team that has designed over 9,000 church and ministry websites. Over 90% of church visitors now say that they heard about the church they are visiting through the internet. As a growing church, your website serves as a place to cast your vision and help potential visitors understand how their families can plug in. We want to help you accomplish that goal and attract people to your church at the exact time they are looking. And, we've made it super easy to choose us. Our program pays for your production process and the team behind the building of your website. Order your website today and our staff will begin building the website immediately. You tell us what you want and we create it for you. We know that you want to have control over the look and feel of your website. With our design services, you receive up to FOUR rounds of revisions, which allow you to send a list of changes in each version of the design back with additional changes. The result is that you get the website you have always wanted. Best of all, these revisions are a FREE part of our design package! #COG Maintain It Yourself or Let Us Do It For You! Choose between two different monthly packages that allow you to either (a) use our full-featured system to maintain your website yourself, or (b) allow us to maintain the website for you. Just send us updates and we do the rest. Our Standard program is just $35 per month while our Advanced plan with the built-in maintenance is only $99 per month. #COG Free Download Just for Inquiring! Just fill out our form here and we'll even send you our Church Website Planning Guide for free. 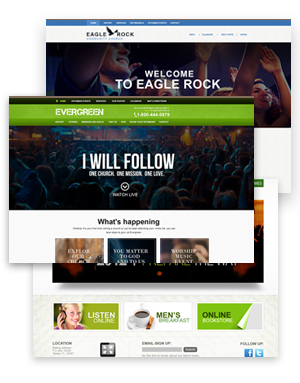 It's the easiest way to begin planning your church website content while we design it for you. 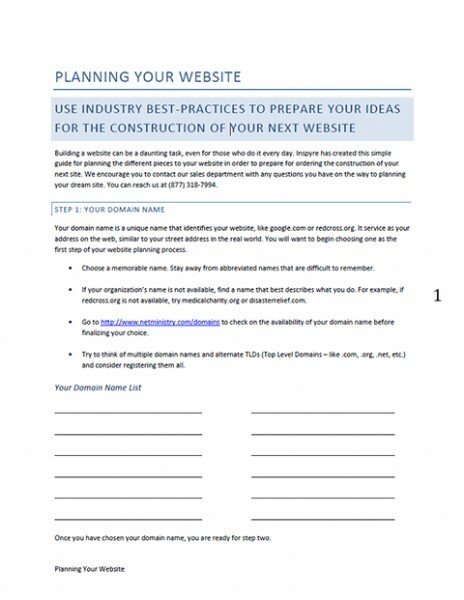 You are free to keep this planning guide and use it no matter who builds your website. It's an excellent way for your ministerial team to rally around the specific points of planning your website and gathering the information and materials needed to do so. There is never any obligation and we fiercly protect your personal information. Also, feel free to call us now to get started at (813) 441-9815. We stand ready to serve you.